This article is shared with permission from Authority Nutrition. One piece of advice often given to dieters is to eat until you reach satiety — that is until you feel full. For example, 200 calories of a chicken breast may make you feel full, but it could take 500 calories of cake to have the same effect. Thus, weight loss isn’t just about eating until you feel full. It’s about choosing the right foods that make you feel full for the least amount of calories. Many factors determine a food’s satiety value, or how filling it is relative to its calorie content. The calorie/satiety ratio is measured on a scale called the satiety index (1). The satiety index also measures a food’s ability to make you feel full, reduce your hunger and lower your calorie intake over the course of the day. High volume: Studies indicate that the volume of food consumed strongly influences satiety. When foods contain a lot of water or air, the volume is increased without adding calories (2, 3). High protein: Studies show protein is more filling than carbs and fat. Diets higher in protein increase satiety and lead to lower overall calorie intake than lower-protein diets do (4, 5). High fiber: Fiber provides bulk and helps you feel full. It also slows the movement of food through your digestive tract, which keeps you feeling fuller for longer (6). Low energy density: This means that food is low in calories for its weight. Foods with low energy density can help you feel full for fewer calories (7). Whole potatoes are loaded with vitamins, fiber, and other important nutrients. They also contain a certain type of starch called resistant starch (8, 9). Because adding resistant starch to meals helps satisfy hunger, it causes people to eat fewer calories (10, 11). Interestingly, cooling potatoes after they’re cooked increases their resistant starch content. In fact, studies show that cooling and reheating potatoes multiple times continues to increase their hunger-suppressing effect (12). In a study that measured the ability of 38 foods to satisfy hunger, boiled potatoes ranked the highest (1). Most of the nutrients, including about half of an egg’s protein, are found in the yolk. Eggs are a complete protein, meaning they contain all nine essential amino acids. Also, they’re very filling. Several studies found that people who ate eggs for breakfast were more satisfied and consumed fewer calories throughout the day than those who had a bagel for breakfast (13, 14, 15). In particular, one study found that people who ate eggs for breakfast lowered their body mass index (BMI) and lost more weight than those who ate a bagel (16). Oatmeal is a type of porridge, or hot cereal, that is often consumed for breakfast. It’s incredibly filling and ranks third on the satiety index (1). This is mainly due to its high fiber content and ability to soak up water. Oats are an excellent source of a soluble fiber called beta-glucan, which helps slow down digestion and the absorption of carbs (17). When compared to ready-to-eat breakfast cereal, oatmeal was better at suppressing appetite, increasing satiety and reducing calorie intake throughout the day (18, 19). Liquids are often considered to be less filling than solid foods. However, research shows soups may be more filling than solid meals with the same ingredients (20, 21). When the soup was eaten at the start of a meal in one study, subjects consumed 20% fewer calories at that meal (22). Several studies found that routinely eating soup can reduce calorie intake, enhance satiety and promote weight loss over time (23, 24, 25). Legumes, such as beans, peas, and lentils, are well known for being good sources of fiber and protein. This, combined with a relatively low energy density, makes them a filling food that may even promote weight loss (26). A review of several studies indicates that beans, peas, chickpeas and lentils are 31% more filling than pasta and bread (27). Fruits are an important part of a healthy diet. Several studies indicate eating fruit is associated with lower calorie intake and can contribute to weight loss over time (28, 29, 30, 31). In particular, apples score very high on the satiety index (1). Because apples contain pectin, a soluble fiber that naturally slows digestion, they help you feel full (32). They are also over 85% water, which provides volume and improves satiety without adding calories. It’s important to note that whole, solid fruit increases satiety more than puréed fruit or juice, both of which are not particularly filling (33). One study looked at the effects of eating solid apple segments, applesauce or drinking apple juice at the beginning of a meal. It found that those who ate solid apple segments consumed 91 fewer calories than those eating apple sauce and 150 fewer calories than those drinking apple juice (34). Similarly to apples, citrus fruits are high in pectin, which can slow digestion and increase satiety. They also have a high water content. Both oranges and grapefruit contain over 87% water, which means they’re able to fill you up for very few calories. It has often been suggested that eating grapefruit can promote weight loss. In one study, obese participants eating grapefruit lost significantly more weight than those given a placebo (35). In another study, eating half a grapefruit three times daily at mealtimes for six weeks was associated with modest weight loss and a significant reduction in waist circumference (36). When combined with calorie restriction, consuming grapefruit or grapefruit juice before meals resulted in a 7.1% weight loss, a significant reduction in body fat and weight circumference (37). Bottom Line: Citrus fruits such as oranges and grapefruit are also weight loss friendly foods. They’re high in fiber and water, which can help you feel full and consume fewer calories. Fish that are rich in omega-3 fatty acids may increase satiety in people who are overweight or obese (38). They’re also loaded with high-quality protein, which is known to be very filling. In fact, fish scores higher than all other protein-rich foods on the satiety index and ranks second of all foods tested (1). One study found the effect of fish on satiety was significantly greater than that of chicken and beef (39). Another study found participants who ate fish consumed 11% fewer calories at their next meal than those who ate beef (40). Lean meats are high in protein and very filling. In fact, higher-protein diets lead to lower overall calorie intake than lower-protein diets (5). One study found that people ate 12% less at dinner after eating high-protein meat at lunch, compared to those who had a high-carb lunch (41). Beef scored second highest of all protein-rich foods on the satiety index, but other lean meats such as chicken and pork are also weight loss friendly (1). Cottage cheese is low in calories but very high in protein. It is also packed with healthy nutrients, including B vitamins, calcium, phosphorus, and selenium. These characteristics make cottage cheese a weight loss friendly food. One study found that its effect on fullness is similar to that of eggs (42). Vegetables are low in calories and high in volume. They’re also packed with all kinds of beneficial nutrients and plant compounds that make them an essential part of a healthy diet. Furthermore, they’re high in water and fiber, both of which help fill you up. Research shows that salads, in particular, help satisfy hunger, especially when consumed before a meal. In one study, participants who ate a salad at the start of a meal consumed 7–12% fewer calories at the meal (43). Another study showed that eating a salad at the start of a meal increased vegetable consumption by 23%, compared to eating it with the main course (44). Popcorn is a whole grain and contains more fiber than many other popular snack foods. It is also high in volume, so it takes up a lot of space in your stomach, despite being relatively low in calories. Studies have found that popcorn will fill you up more than other popular snacks such as potato chips (45). 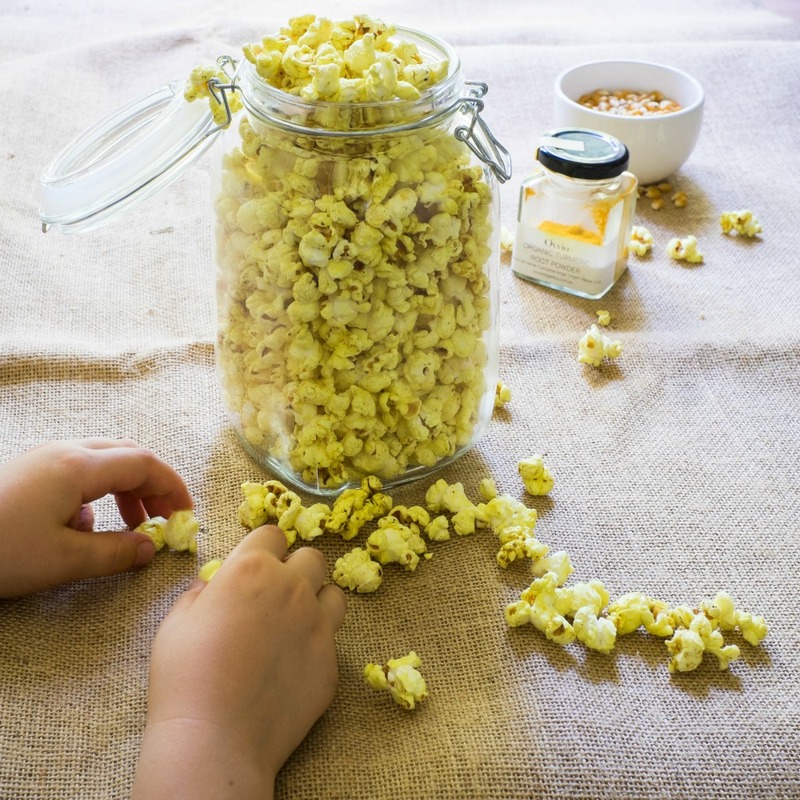 To keep your popcorn low in calories, avoid adding a lot of fat to it, and always remember to buy organic, non-GMO popcorn. Filling foods have certain characteristics. They’re high in volume, protein or fiber and low in energy density. Including more of these foods in your diet may help you lose weight in the long run. Here are a few delicious recipes to help you include some of these 12 filling foods!